As a type of rehabilitation, physical therapy (PT) aims to use equipment and exercise to help people improve their strength and range of motion, while also helping to regain any lost physical abilities. 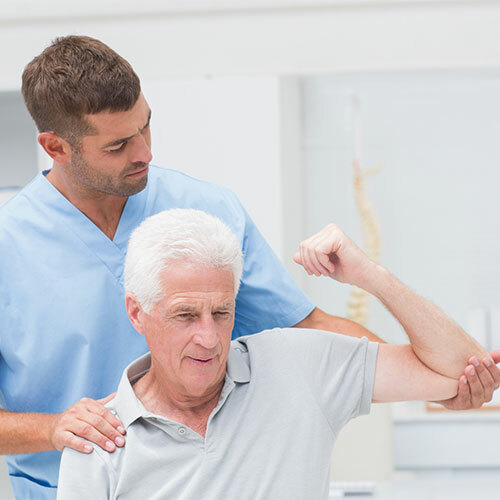 From infants to the elderly, everyone can benefit from physical therapy if there is an injury or condition keeping them from performing their daily tasks. Your doctor may recommend PT in an attempt to avoid surgery; however, it is almost always prescribed for patients recovering from spinal surgery. The main goal of physical therapy is to improve your coordination, flexibility, balance and strength in order to help your joints move better. Regardless of why you are visiting a physical therapist, the rehabilitation will include some form of exercise, so some soreness afterwards is normal. A type of physical therapy called “hand therapy” has been very successful in offering treatment for pain without surgery. In addition, it is used to help patients heal after a nerve injury, whether they need help with reducing sensitivity or learning to move and feel again. There are three main facets to any physical therapy program: exercise, manual therapy and education. Exercises are typically low intensity movements designed to help you regain your range of motion and muscle tone. You will also work on exercises to take pressure off of your joints, such as strengthening your abdominals to take some pressure off of your spine. The manual therapy will include massage, manipulation and mobilization. Massage will help increase blood flow to your muscles, which will help them relax and ease your pain; manipulation and mobilization both involve careful movements and pressure to help keep your joints in the correct position. Education plays a key role in physical therapy, as the ultimate goal is for you to continue to perform the exercises and good habits you learned after your therapy program has ended. This can include your therapist showing you how to safely stretch at home or even what machines at the gym will be most helpful to you. We will teach you how to perform your daily routine safely, without risking another injury. Continuing your exercise program after your physical therapy has ended is the best way to help prevent any future problems. If you have noticed that your everyday activities are causing you to suffer daily pain, or if you are recovering from spinal surgery, working with the physical therapists at Florida Spine Institute is a great way to diminish or eliminate your pain.